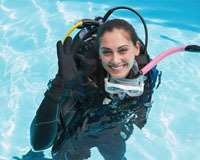 SCUBA Diving is a great sport and an exciting activity. 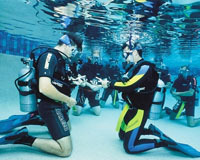 If trained professionaly, the participants will safely explore and enjoy the beautiful underwater world for many years to come. 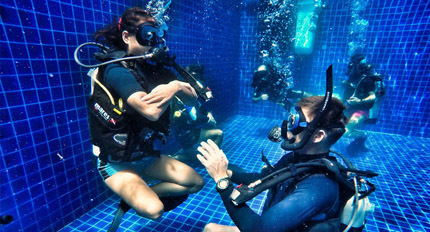 In this course, the students will learn with a professional instructor about SCUBA diving in the classroom and will practice in the pool. This training usually takes about one or two days. 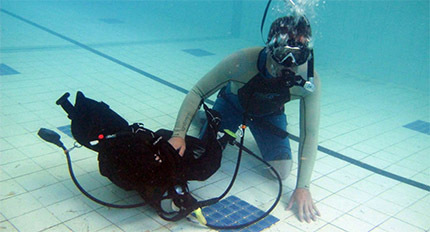 After completing this course, the students may proceed to the open water training at the Holiday Beach in Zouk Mikayel or at the LAS Salinas resort in Anfeh to obtain an international certificate. 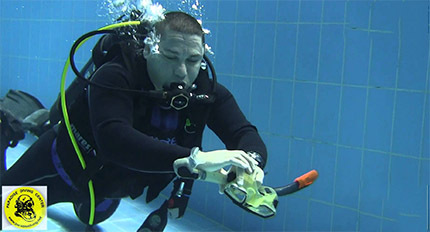 This requires four open water dives over two days. 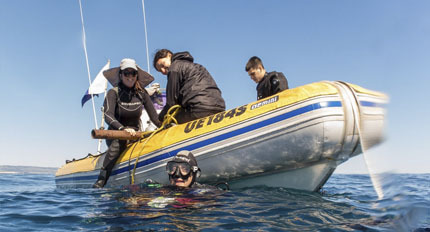 The objective of this course is to ensure that the students master safe SCUBA diving and master the skills required for open water and advanced training. The online exams will ensure that the students know all concepts and rules 100%. ETC will provide all equipment but we recommend for maximum satisfaction that you have your own booties, fins, mask+snorkel, and 5mm shorty wetsuit. 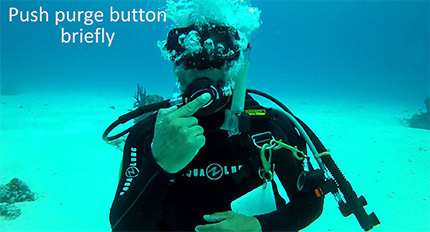 Anyone who loves the sea and wishes to learn SCUBA diving. 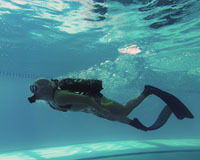 The student should be a good swimmer with a good health and a good respiratory system. A doctor checkup is recommended. 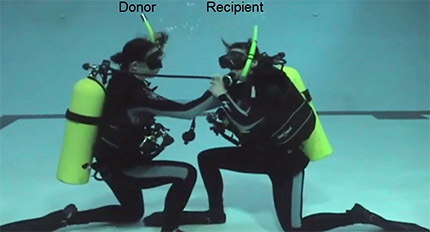 Breathing from a Free-Flow Regulator for 30sec.